When you have a dental emergency, you want to get it taken care of as quickly as possible. Many dentists and oral surgeons make you wait days or even weeks to be seen. Instead of dealing with intense dental pain, you can come to our dental emergency room and be seen right away by our dentists and oral surgeons. We offer day and night emergency care seven days per week at our center for cosmetic dentistry Clearwater. There is no pain quite like dental pain, and we are available to help you feel better. Tooth decay is the most common oral health problem in the USA. You might notice pain when eating something sweet, cold or hot. You might have pain in a tooth when biting or chewing. These are symptoms of a cavity. Our services include cosmetic fillings for treatment of dental decay. We place tooth-colored fillings that are made of material that looks just like the structure of your tooth. With a tooth infection, pus builds up around the tooth’s root. A nerve travels through the root, so the pressure from the pus irritates the nerve, causing sharp and throbbing pain. Abscesses can grow quickly, affecting nearby teeth, the gum tissue, jaw bone and soft tissues of your cheek or lips. We offer prompt treatment for tooth infections, including draining the pus and providing antibiotics. If you need cosmetic care after the infection is gone, we can also help you with that. Periodontal pain is a common condition. It can happen without warning if you get a periodontal abscess. This infection in your gum tissue could happen overnight and without any warning. The surrounding gum tissue becomes swollen and painful to touch or brush. A pocket develops around the root of the tooth, and the pocket fills with puss. In addition to the pain, you might notice a bad taste in your mouth. Your face may swell around the affected area. Mild sensitivity turns into intense, throbbing pain within 24 hours. We treat these infections by draining the pus and prescribing oral antibiotics. We offer splinting for a loose tooth. With tooth splinting, the tooth that has become loose due to the periodontal abscess is bound to the two neighboring tooth. The neighboring teeth act as anchors so the loose tooth does not shift out of place. After a few months of splinting, the damage to your jaw bone and gum tissue will be healed, and the tooth will no longer be at risk of shifting. A chipped or cracked tooth can happen without warning. You bite into some crusty bread or enjoy a bowl of popcorn at the movies, and suddenly feel an intense pain in one of your teeth. Dental bonding is a cosmetic service that is also functional. The resin material is the same material we use in a composite filling. It is made in the same color as your tooth, so people will not notice it when you speak or smile. Bonding fills in a small crack or chip in a tooth. The process reduces sensitivity and restores strength to the biting and chewing surfaces of the tooth. People who have a large filling or root canal may experience cracked tooth syndrome. This is essentially a crack in the tooth that results from an insufficient amount of remaining natural tooth structure. We offer bonding and crowns to correct this problem. If needed, our oral surgeon can extract a severely cracked tooth. Most adults get wisdom teeth, which erupt between the ages of 16 and 20. In many people, the wisdom teeth do not erupt properly. The jaws might not be big enough to accommodate the wisdom teeth, causing them to only partially erupt. The wisdom teeth might erupt to the side or push the other molars out of place. In some cases, an infection can develop around the wisdom tooth, leading to intense pain and sensitivity of the tooth and the surrounding gum tissue. An infection can also form in the area between the wisdom tooth and the neighboring tooth. This pain and movement can affect the nearby teeth. A long time of pushing from the wisdom tooth into the neighboring tooth could cause root and nerve damage, along with plenty of pain. We offer wisdom tooth extraction on a planned and emergency basis. After the wisdom teeth are removed, you may need follow-up orthodontic care if the wisdom teeth have moved your other teeth out of position. We also care for other types of dental emergencies. If you got a filling, crowns and bridges that are too high or not quite adjusted properly, this can cause sharp pain. Our dentists can make slight adjustments to fillings, crowns and bridges to improve your comfort. A lost filling, crown or bridge could also be an emergency. When these restorations fall out, your tooth is prone to further decay or damage. We replace fillings, crowns and bridges to eliminate the pain. 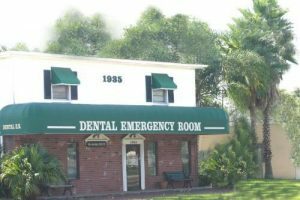 In addition to caring for people with immediate dental emergencies, we also provide cosmetic dentistry services in Clearwater. Our cosmetic dental services include teeth whitening. Our professional teeth whitening brightens your smile and removes stains that whitening toothpastes and other over-the-counter products are unable to treat. If you need a replacement filling, we offer composite resin. The resin is strong, safe and looks like your natural tooth. We also place porcelain veneers to correct the shape or color of teeth. Veneers are made of a thin shell of porcelain, and they fit over the tooth. We also fit people for night guards, which help to protect the veneers and reduce your risk of nighttime teeth grinding that can lead to a cracked tooth. You do not have to suffer with dental pain. We accept most dental insurance programs. Call us today Phone:(727) 449-2424 to make an appointment for emergency or cosmetic services at our office for cosmetic dentistry Clearwater.